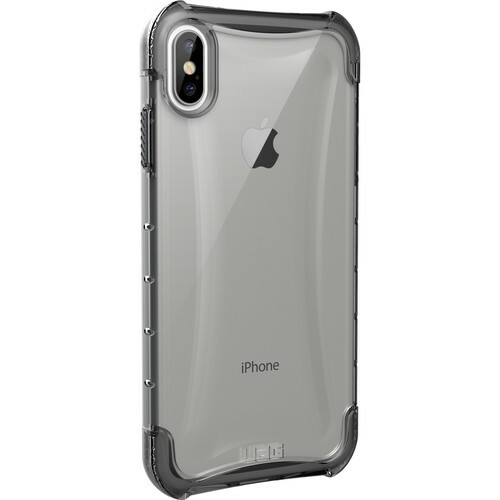 Protect and display your iPhone Xs Max with the ice Plyo Series Case from Urban Armor Gear. This translucent case features a hard armored back and Air-Soft corners, cushioning your device from bumps and keeping the finish safe from scratches. For added protection, the Pylo meets MIL-STD-810G 516.6 military drop-test standards and features scratch-resistant skid pads on the rear of the case and surrounding your device's screen. Oversized tactile button covers and large port openings make the Plyo case easy to grip and use. Additionally, the lightweight design allows for unobstructed functionality of wireless charging and NFC payment systems. Box Dimensions (LxWxH) 8.7 x 4.35 x 0.8"
Plyo Series Case for iPhone Xs Max (Ice) is rated 4.0 out of 5 by 1. Rated 4 out of 5 by James from excellent! Nice fit!